Starting this blog has made me go back and scan the hard drive for little gems. Here’s Justin at the piano doing a medley of song fragments he was working on. It makes me a little misty eyed thinking about him playing in a room with a collapsing ceiling. Rhythm tracks engineered by Jeff Zeigler at Uniform. Everything else recorded at the Avant Gentlemen’s Lodge (RIP). Mixed and Mastered by Colin Marston at Menegroth the Thousand Caves. Produced by Make A Rising. On this recording, Make A Rising was: Jesse Moynihan, Justin Moynihan, John Heron, Nick Millevoi, Travis Woodson. GUEST MUSICIANS: Dave Fishkin (sax, flute), Jesse Sparhawk (harp), Beth Brandon (wurlitzer), Alex Tyson (synths), Eric Slick (marimba), Dan Blacksberg (trombone), John Pettit (trumpet), Brandon Beaver (vox), Eliza Hardy (vox), Cecilia Corrigan (vox), Spooky (vox). 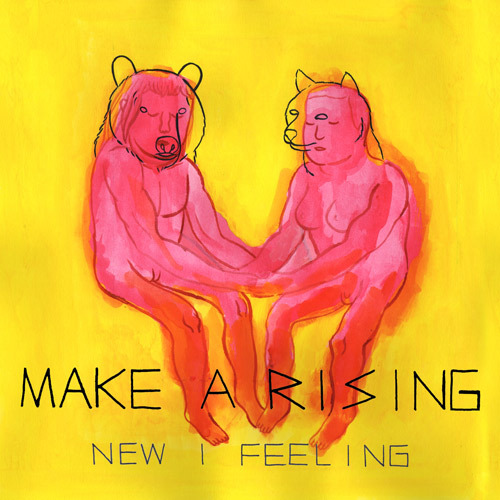 All songs written by Make A Rising. This 3 song EP was originally intended to come out as a split 12″ with the D.C. band, Hume. Unfortunately, I moved across the country and Make A Rising could not support a physical release. This was also meant to be a teaser for our upcoming double album release, but the status of that project is now up in the air. This recording seems like a logical step after “Infinite Ellipse”. We made some internally controversial decisions. I hope it rewards in the same way that 10cc’s “How Dare You” rewarded me after half a year of listening. It took a year and a half to finish these beasts. Enjoy! One dream, still more, came as vision. How many times have I born and died? One dream, was seen, and showed its reason. The faith he bore, should relieve him. This time I tore through the fabric of space. With eyes closed fire crawls across my head. Pounding pillows veils emerge through the bed. Reaching out for hands but never can ask. Missing moments last for digging these traps. Brush back your hand through the fold. Who am I? I ma ohw! Take off my head as my heart receives the one. birds sing song of the Dog. test our strength and prevail. Living for truth / What light and dark directions? Pause before sleep / hold the key and my fear of All One! I want to reach inside the veil and speak to the New Man. as symbols pave the path. I must keep my mind open.